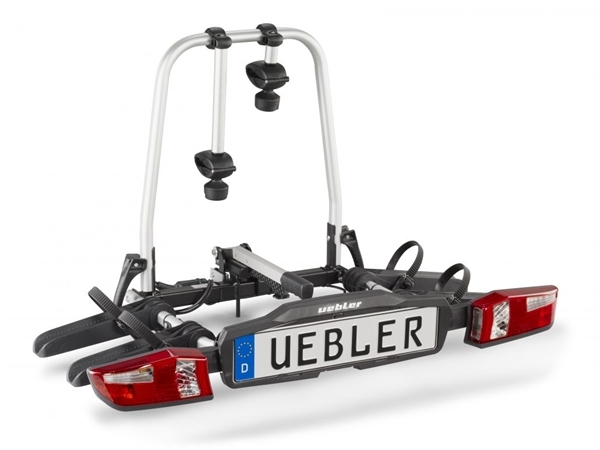 Product information "Uebler F22 Tow Bar Carrier for 2 Bikes"
Intuitive, ergonomic handling coupled with especially light weight and maximum load. The racks can be completely folded up and are characterised with their fresh look with rear lights which can be moved to fit the width. Ergonomically refined and optimally suited for transporting up to 4 bikes depending on the model. Equipped with the patented quick release mechanism can be mounted in seconds. The F-series racks cannot be tilted away when mounted. Related links to "Uebler F22 Tow Bar Carrier for 2 Bikes"
Customer evaluation for "Uebler F22 Tow Bar Carrier for 2 Bikes"